● Six Unique Character Classes, each with a distinct play styles to make up your team; fully customizable with abilities, perks and gear. 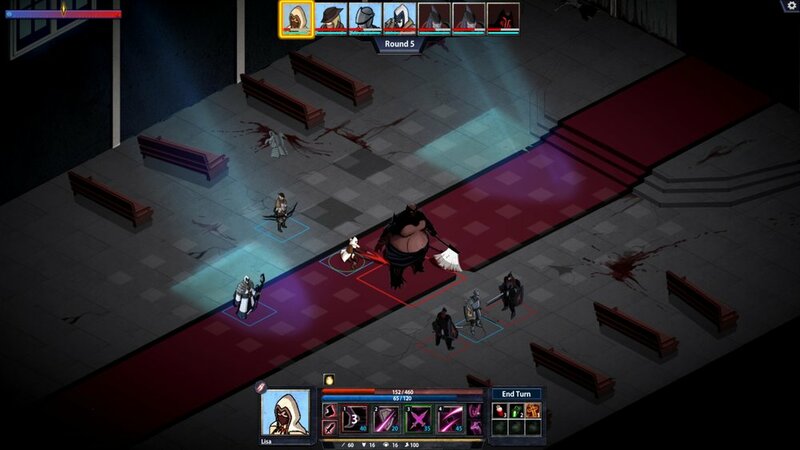 ● Brutally Challenging Boss Fights with unique RPG mechanics akin to MMORPGs, each boss is a different fight, players need to look out for special abilities and attack patterns. ● Dynamic Weather Conditions - both spells and the environment can affect the state of the weather and vice versa. 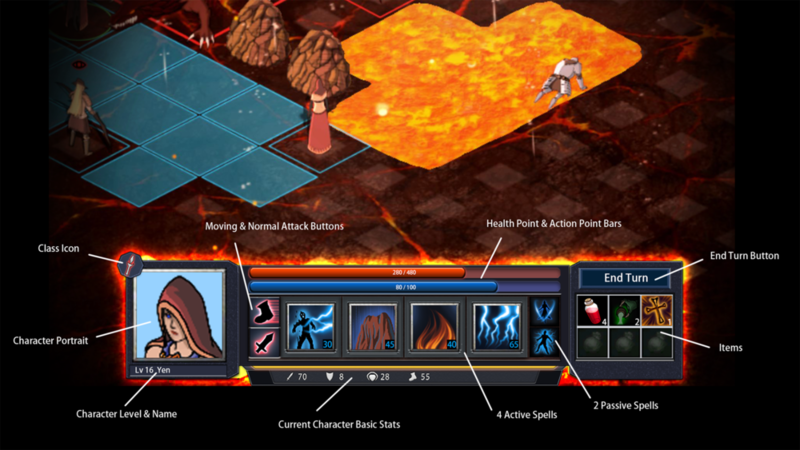 Fire spells heat up the weather and generate a thundercloud, enhancing all Lightning attacks. 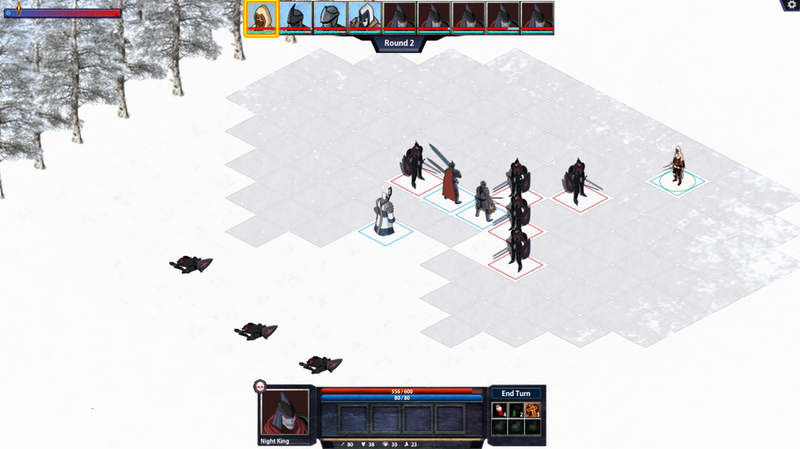 Cold spells cool the weather creating a blizzard that freezes everyone on the battlefield. ● Loot, Loot and more Loot - shiny new rewards after each battle determined by the results of the battle. Late game loot have special properties that effect and augment the character's skill set. ● Pick 4 Spell System - players are able to choose up to 4 abilities from a pool of spells per character, spells synergize well with each other, leading to both individual and team combos. 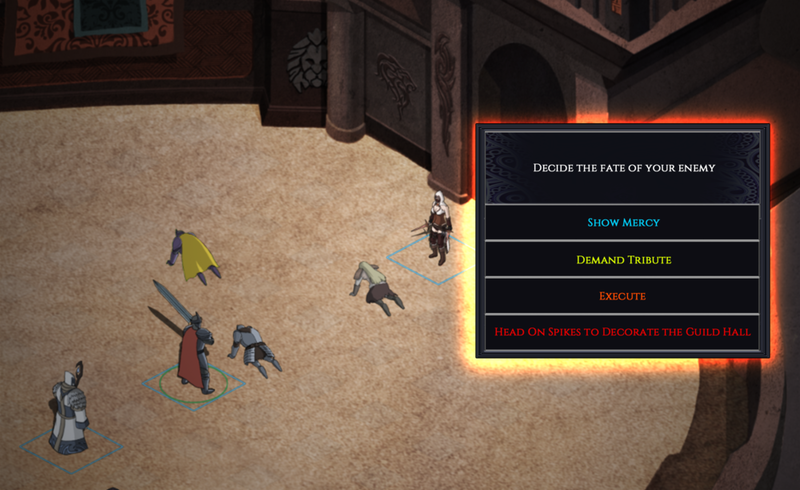 ● Innovative Turn Based Tactical Combat - unlike traditional turn-based tactical RPGs, characters can perform as many actions so long as he has enough Action Points. Enemies will also employ a wide variety of abilities and tactics, good positioning and executions of combos could be the difference between victory and defeat.